One of the characteristics associated to the Filipinos is being a huge food lover. From the top-caliber local dishes such as adobo, lechon, kare-kare, sinigang, kinilaw, papaitan, dinuguan and laing to the delish Pinoy desserts like bibingka, champorado, puto bungbong, halayang ube, taho and the one-of-a-kind balut, the wide variety of choices is more than enough to fulfill the cravings of an entire town. Average Pinoys eat at least five times a day too – during breakfast, morning merienda, lunch, afternoon merienda, and dinner. Others even indulge on evening and late midnight snacks. This zest for and infinite appreciation to foods help define the culture of the Philippines. It is no wonder that food tripping is one of the favored activities by locals here in PH. Food tripping is basically creating intense and exciting experiences that revolve around foods. It is distinctive to the things that you eat, the places where you eat and how you do so. Below are four (4) fun-filled activities to engage in for people like you who love eating. Enjoy each and every bite as you explore the promises of each adventure. Visit different dining places. Check out the restos in the city and nearby towns. If you’re just a few hours away from Cavite, try Antonio’s. It is named fifth best restaurant in Asia on 2010 and 2011 by Miele Guide. There’s Sonya’s Garden, one of the most-frequented resto in Tagaytay. There are restaurants in Nuvali too like the Solenad Restaurant. May it be as basic as a diner, a bistro bar, a coffee shop and a 24/7 store or as posh as five-star hotels and fine-dining restaurants, be it in Manila, Baguio, Ilocos, Cebu, or Davao, do not hesitate. Give them the opportunity to satisfy your taste buds. Experiment on various cuisines. You need not stick to Philippine delicacies alone. Dare to taste the cooking of other cultures too – Japanese, Chinese, Korean and Thai for Asian; Italian, French, Spanish for European. Doing so would make you feel like you’ve traveled on the said countries too. Join Eat-All-You-Can’s. 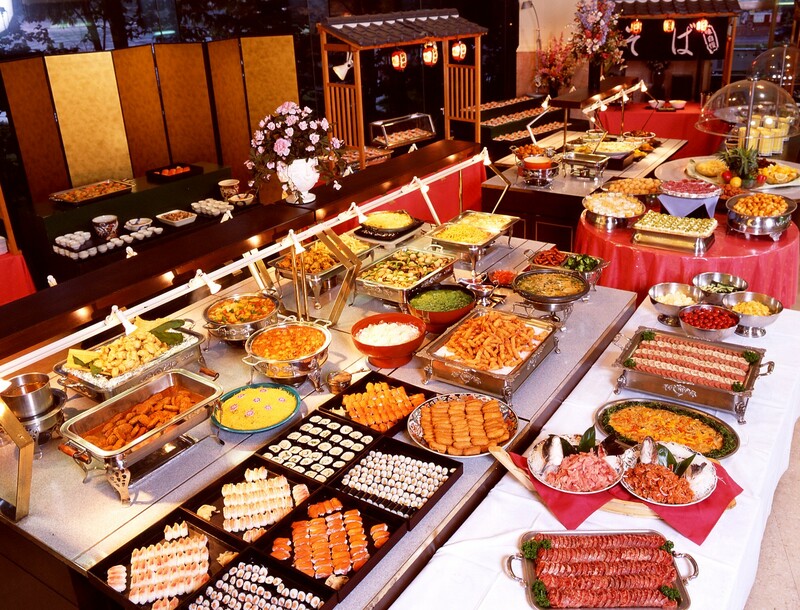 Master the art of an all-you-can-eat buffet. Walk through the array of plates and do a quick survey. Begin with a sampler plate and take only a portion of the dish that looks appealing to you. Focus on those that cost a lot of money if you were to order them separately such as seafood and steaks. Go for something exotic. Have you ever tried deep-fried frogs, crocodile sisig or kinunot na pating (baby shark in coconut milk)? There are several joints around the country that serve them for your consumption. Nueva Ecija has adobong salagubang and Ilocos has Abuos (ant-egg caviar). Of course, there are the chicken barbequed streetfoods called adidas (feet), betamax (coagulated blood cubes), isaw (intestines) and helmet (heads). Jeric Cantil is a Filipino guest poster that is currently working as a copywriter in Optimind Technology Solutions. A digital marketing agency in the Philippines that provide SEO, web design, Facebook and mobile app development services. Thank you for reading Four Food Tripping Activities to Engage in for Food Lovers posted on the website Kwentology if you want to redistribute this article please include the link as the source. Have some kuwento to share? Contact us!